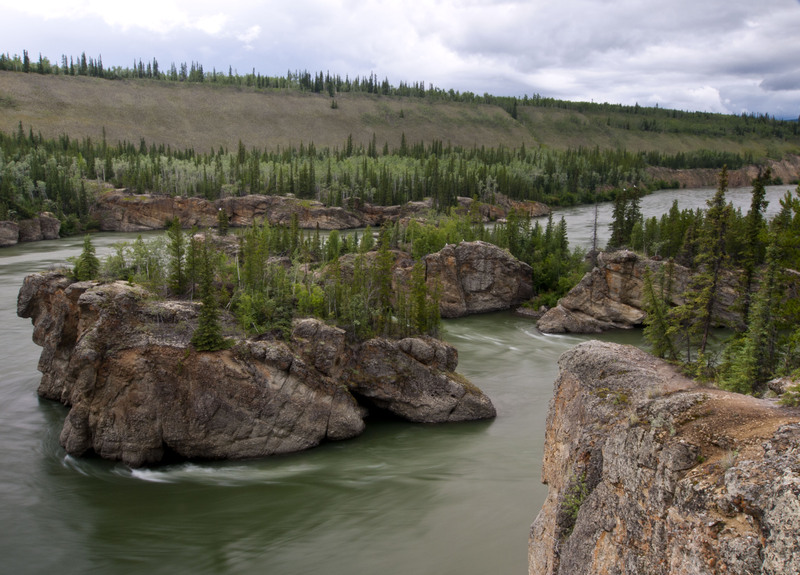 It took us a day to drive from Whitehorse to Dawson but we had a couple of interesting stops along the way. 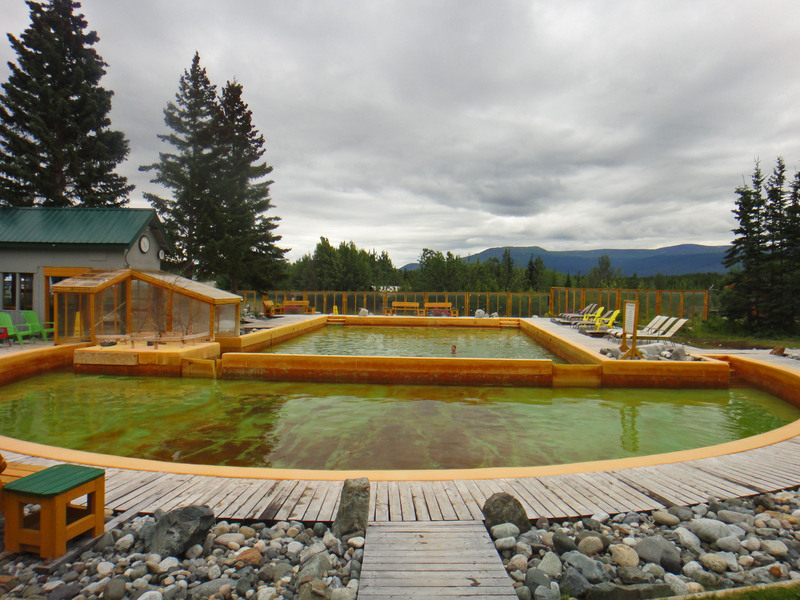 The first place we stopped was at the Takhini Hot Springs where the natural hot water has been channelled into two pools. The bigger one was nice and warm and the smaller one that you reach through a gate from the big one was pretty hot but not unbearable. They also had a cold shower next to the pool which was great for cooling off and then plunging back into the hot pool. 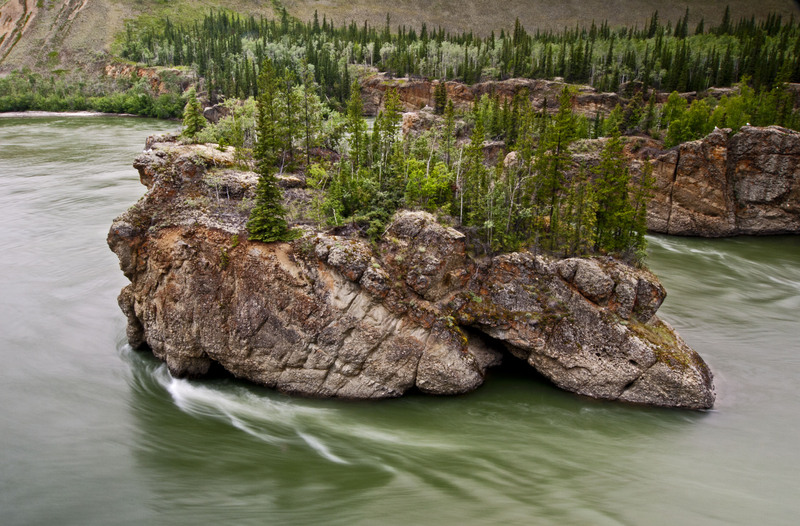 We also stopped off at Five Finger Rapids and hiked down from the road (down the longest staircase in the Yukon) to the river. This rapid splits the river into a number of channels. The Sternwheelers had to use the East most channel to go through which was pretty narrow. On the way upstream they used a cable attached to the shore to help winch them through as well as their paddles on full power. It could take them hours to get through and they burnt so much wood that they had to restock as soon as they were through. After this we drove on through to Dawson and camped for the night just short of the city.